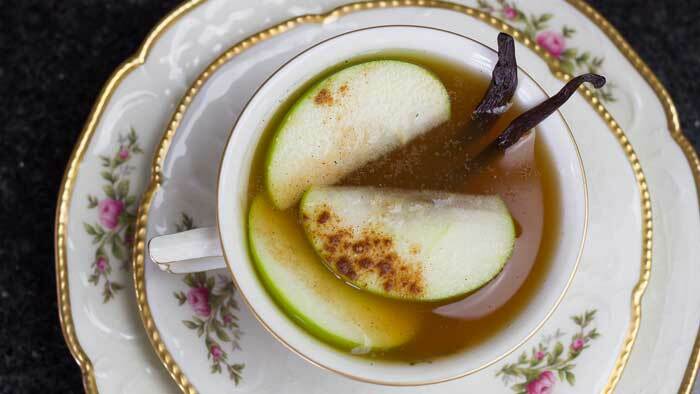 This tasty warm spiced vanilla apple tea recipe is so easy to make and offers an interesting twist to the traditional tea break. 1 teabag Tea I used white organic tea, but green or black tea is fine. 1 tsp Vanilla Extract Essence or Beans also fine. All you need for this recipe is your favorite cup and a freshly boiled water! First add the spices, vanilla extract and tea bag to your cup. Half fill the cup with boiled water and leave for 3-4 minutes. Remove your teabag and top up your cup with apple juice and then add sugar to your taste.